I was inspired by Hooked on Science's H2O Race (an experiment on cohesion); so, I created my own game board to go along with a water cycle unit. Two different science lessons in one game! 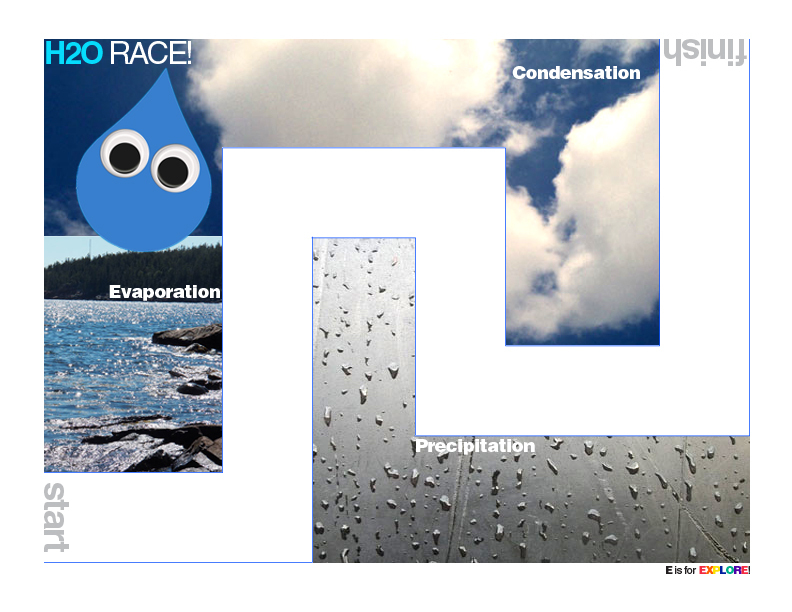 Kids learn about water cohesion and see three of the steps of the water cycle. 1. Print 2 copies of the game board below. 2. Cover the game boards with contact paper. 3. Place one drop of water near the start area on both boards. 4. 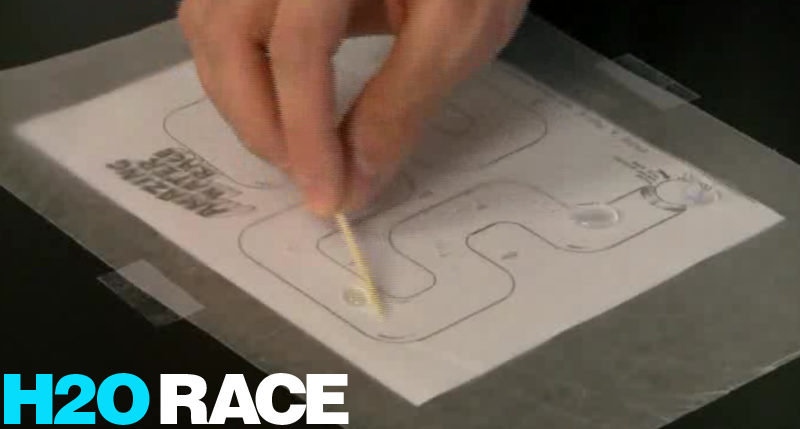 Then, with a toothpick, each player "pulls" their drop of water along their game board. 5. Whoever reaches the finish line first wins! Explanation - Water molecules are attracted to one another: Cohesion! If you scroll through Surf Ky's Hooked on Science video channel, you can see the water cohesion game (above) in action!